Meningitis is the inflammation of the lining around the brain and spinal cord and it can be caused by either viruses or bacteria. Viral meningitis can be very unpleasant but it is almost never life threatening and most people make a full recovery. Whereas bacterial meningitis is a serious illness and the bacteria that cause it can also cause sepsis (blood poisoning) – both life-threatening conditions. Meningococcal bacteria are a major cause of bacterial meningitis. There are several strains or 'serogroups' of meningococcal bacteria. Serogroups A, B, C, W, X and Y account for the majority of cases around the world. Are there vaccinations available to prevent all types of meningitis? Are these vaccinations available to everyone? There are licenced vaccines protecting against meningococci A, B, C, W and Y, some of the most common strains of pneumococcal bacteria, as well as Haemophilus infuenzae b (Hib). Although the use of vaccines within routine vaccination schedules vary from country to country, we always encourage everyone to take up the offer of the vaccines that are included in their routine immunisation schedule to protect themselves and their families. However, there are not yet vaccines available to prevent all causes of meningitis, particularly amongst newborns. That’s why it’s important to know the symptoms of meningitis and sepsis. Early recognition and treatment provide the best chance of a good recovery. What are the risk factors associated with morbidity and mortality in infants with bacterial meningitis? Meningitis affects more than 2.8 million people globally each year, but it is babies, young children and teenagers who are most at risk of bacterial meningitis. In the UK, babies under three months of age are 70 times more likely to get bacterial meningitis than adults – with newborns being at the highest risk of all. Bacterial meningitis and sepsis are deadly diseases that can kill in hours and rapid diagnosis and prompt treatment with antibiotics provide the best chance of survival. Unfortunately, we still face a mortality rate of 1 in 10, in individuals affected by meningitis and associated sepsis. The seriousness of the condition can also be seen in survivors, as 1/3 of them are left with after-effects, such as brain damage, amputations, blindness or hearing loss. Collectively, meningitis and neonatal sepsis are the second biggest infectious killers of children aged under five globally and kill more under-fives than malaria, AIDS, measles and tetanus combined. What are the current challenges in recognising and diagnosing meningitis, especially in newborns? In the early stages it is very difficult to tell the difference between meningitis and a milder viral infection. Even a doctor may not be able to identify the seriousness of the illness at first. The diseases can be particularly difficult to detect in babies because they cannot tell us how they are feeling. However, a child who is unwell with meningitis or sepsis will deteriorate rapidly. Recent research funded by Meningitis Research Foundation (MRF), conducted by experts at St George’s University of London, found that only around 50% of babies under 3 months old who have bacterial meningitis display fever, which has for a long time been the trigger for further medical investigation. The study involved 263 infants across the UK and Ireland and found the symptoms displayed by young infants when they are seen by doctors at first in hospital are often non-specific, such as poor feeding, lethargy and irritability – perhaps characteristics that you wouldn’t consider of anything other than purely being a newborn! Fever (temperature above 38°C) was reported in only 54% of cases, seizures in 28%, bulging fontanelle in 22%, coma in 6% and neck stiffness in only 3%. Therefore, the research highlights that clinicians must consider bacterial meningitis in the diagnosis of an unwell infant that doesn’t present with fever. The same research uncovered a lack of recognition of clinical features in primary and secondary care leading to delays from the onset of first symptoms to treatment, delays in starting antibiotics and the antibiotics chosen not being in conformity with national guidelines, delays in performing lumbar puncture and lack of consensus on long term follow up. Please outline the eTool created by the Meningitis Research Foundation following the recent research, which found that only around half of newborns with meningitis display fever. Based on this research, the Meningitis Research Foundation, or MRF, collaborated with the study investigators to create a teaching package aimed at hospital doctors to aid rapid diagnosis, appropriate treatment and follow-up care. An eTool to help clinicians recognise bacterial meningitis in young infants, a lumbar puncture information sheet to help explain the need for this diagnostic procedure to parents and an algorithm to aid management of bacterial meningitis in the hospital setting are all included within the teaching package. The MRF have also refreshed the information available to parents about the symptoms of bacterial meningitis, so they know not to rely on fever alone as the main symptom to look out for in babies. What does the Meningitis Research Foundation aim to achieve with the eTool? Young babies are particularly vulnerable to bacterial meningitis, yet the disease is particularly difficult to spot in this age group. The MRF aims to better equip clinicians to recognise, diagnose and treat bacterial meningitis in young infants, ultimately improving outcomes for these infants and their families. When will we start to see if it is successful? We are already collecting some really positive feedback from users of the eTool, all of whom reported the structure of the eTool to be simple and easy to follow. 95% of users would recommend the course to a colleague and importantly 93% felt that they would be less likely to miss a case of meningitis in a young infant after completing the course. Has the eTool been incorporated into standard clinician training procedures and is it available worldwide? Is there a cost associated with the tool? The eTool has been endorsed by the Royal College of Paediatrics and Child Health in the UK, and health professionals in the UK can receive CPD points for completing the training. The tool is free and can be accessed by health professionals worldwide, although the content has been written in the context of the UK health system. In what other ways can clinicians help to educate themselves and their patients about meningitis? MRF has a number of free, downloadable resources that can help clinicians to educate themselves and their patients about meningitis. Why are awareness days important for meningitis research? Awareness campaigns, such as World Meningitis Day on Tuesday 24th April run by the Confederation of Meningitis Organisations (CoMO), are vital if we are going to defeat meningitis and septicaemia. It raises awareness amongst the research community, prompting and encouraging advancements to be made surrounding the condition. What’s the vision for the Meningitis Research Foundation moving forwards? Meningitis Research Foundation is a leading UK and international charity working to defeat meningitis wherever it exists. Our vision is a world free from meningitis and septicaemia, and to help reach this we fund and support vital scientific research. We campaign and provide information to the public, health professionals and researchers that promotes prevention, early diagnosis and treatment, and raises awareness of the diseases. We also provide direct support and ongoing personal help to individuals and families affected, whether they are living with impairment caused by the diseases or coping with the death of a loved one. Find out more information on the MRF website. MRF’s teaching package including the eTool and Babywatch card for parents can be accessed here. 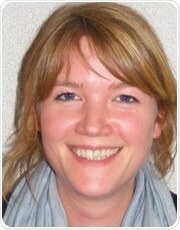 Claire is Evidence & Policy Manager at the UK and international charity Meningitis Research Foundation (MRF). Her work involves developing the educational materials that MRF distributes to health professionals and the public, making sure that it is up to date with findings from current research. 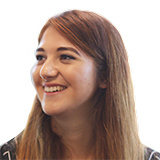 She also answers specific medical questions the charity receives about meningitis and septicaemia and promotes the charity’s work at conferences around the UK.